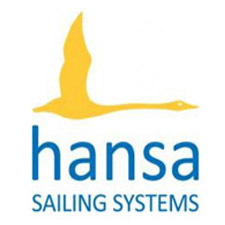 The logo for the 2020 Hansa Class World and International Championships has been released. The regatta will be held in Newport Beach, California, USA in October 2020. 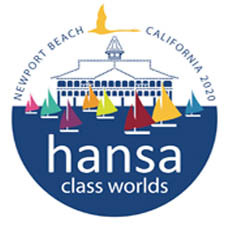 The event was launched at the 2018 Hansa Worlds in Hiroshima by Organizing Authority Chairman Steve Bender, President of Rotary Club, Newport Beach. The City of Newport Beach is located in the coastal centre of Orange County, with Los Angeles County to the north and San Diego County to the south. It surrounds Newport Bay where approximately 4,300 boats of all types are docked within the 21-square-mile harbour area. The bay area and the City’s eight miles of ocean beach offer outstanding fishing, swimming, surfing, and aquatic sports activities. Steve invited all sailors from around the World to California in 2020, citing their great climate, proximity to wineries, iconic locations, including Disneyland, less than an hour away! More details about the regatta will be posted to this website as they become available.